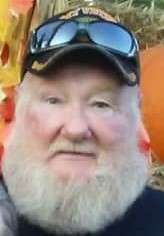 James D. Archer, age 70 a resident of Portland passed away Saturday, May 26, 2018 at IU Health Ball Memorial Hospital in Muncie. He was a retired truck driver, and a U.S. Army veteran. He was a member of the Portland American Legion Post # 211. James Archer was born January 11, 1948 in LaFollette, Tennessee the son of Clarence and Evelyn (Richardson) Archer. He was married on November 25, 1978 to Connie Barron. Visitation will be held from 12-2pm on Thursday in the Williamson Spencer and Penrod Funeral Home in Portland. Funeral services will follow at 2pm Thursday in the funeral home. Pastor David Wade will officiate the services. Portland American Legion Post #211 will be in charge of military rites at the funeral home.